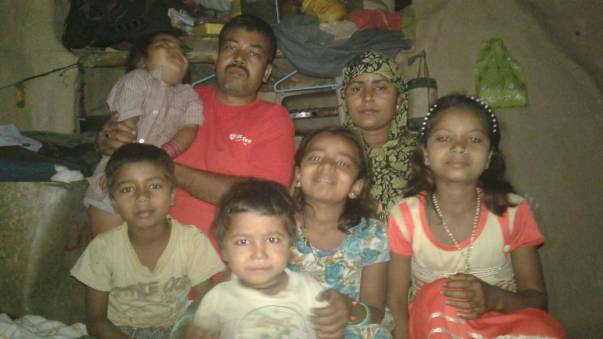 Kevla Devi hails from Bihar and is a mother of 5 small children. 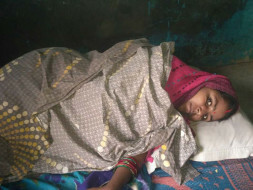 Her husband works in a factory who earns very minimal wage. They came to Bangalore for her treatment in Sri Sathya Sai Institute. 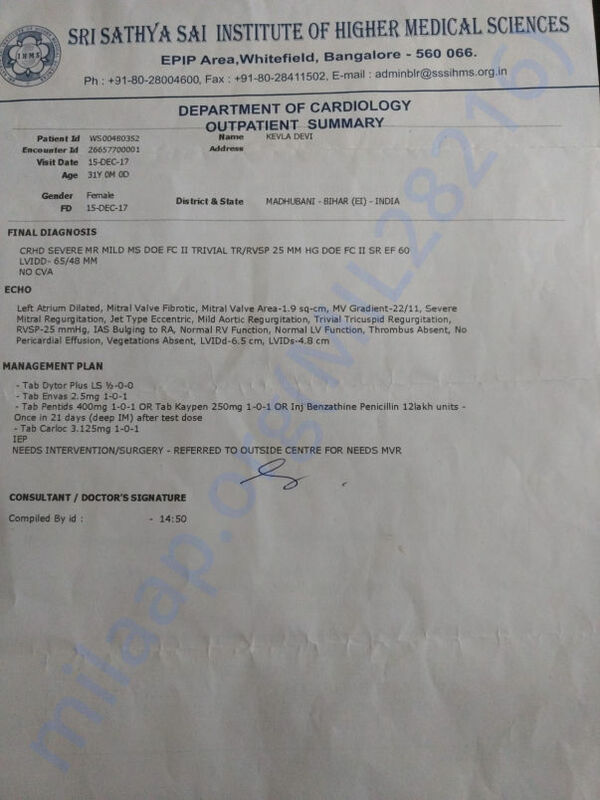 Over there it was disclosed to them that her condition is very severe and she requires an "Open Heart Surgery", She was asked to consult the doctors in Sri Jayadeva Institute for further treatment. 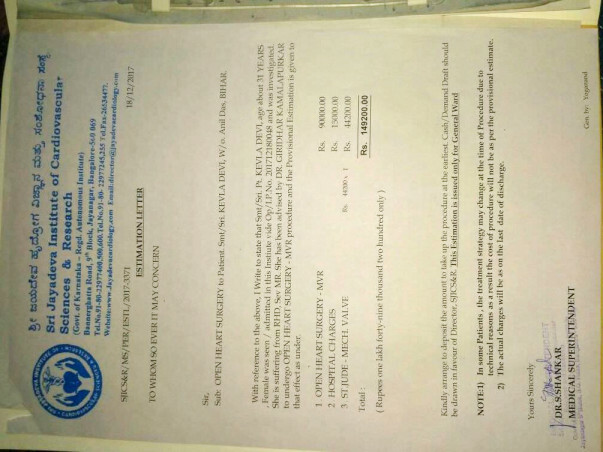 This family needs around INR 2 lacs to meet the expenses of this treatment. Kindly helps those 5 kids and family to stay together. 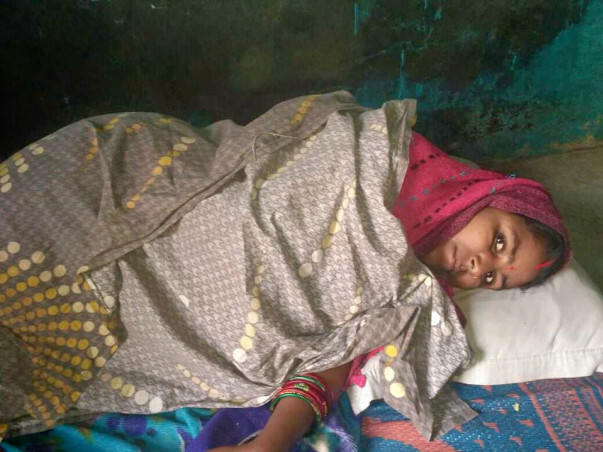 Thank you all, Kevla Devi is recovering well from her operation and will go back to Bihar in March after few scheduled visit to the hospital. Your contribution has helped a mother in defeating this life-threatening disease. 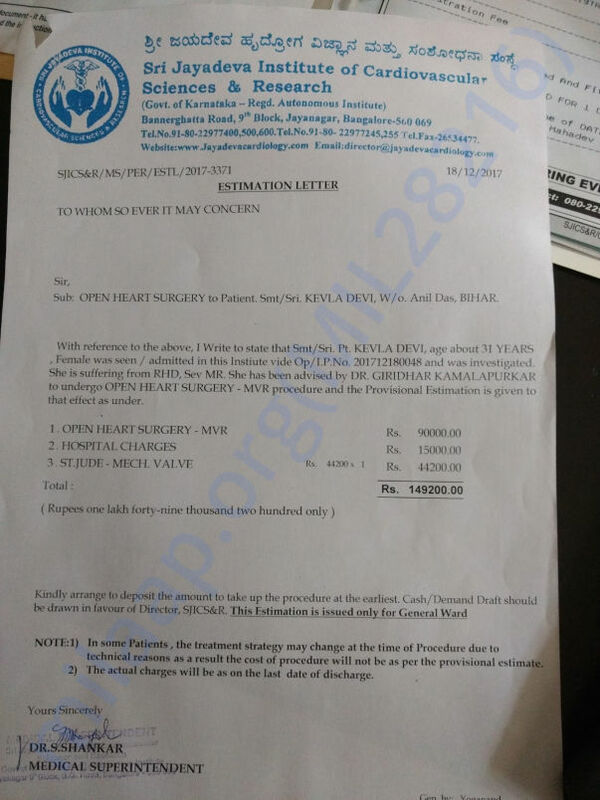 Kevla Devi had a successful heart surgery yesterday at Jayadeva hospital. She is still under observation. I will update more on her condition in the days to come. Thank you for all your support. Do pray for her health and speedy recovery. Will keep you posted.